Imam Jamil Abdullah Al-Amin, formerly known as H. Rap Brown has worked tirelessly standing and speaking out for justice and against oppression. From the years of the Student Nonviolent Coordinating Committee (SNCC) to the Atlanta Community Mosque and national Muslim community and beyond. In addition to having Smoldering Myeloma, Imam Jamil Al-Amin/H. Rap Brown is suffering from Sjogren’s Syndrome. He continues to suffer severe pain, swollen jaws and other symptoms. He must be afforded quality medical attention by specialists. Urge the Federal Bureau of Prisons to ensure adequate treatment for Imam Al-Amin’s medical condition, by transferring him to a warmer climate, i.e., a Georgia facility or Yazoo City, Mississippi. The cold climate in Waymart, Pennsylvania, more than 700 miles from his attorneys, aggravates his illness. While his health is priority, Imam Jamil must have constant contact with his legal team. It is urgent he is transferred to one of the above facilities. Transfer Imam Jamil/H.Rap Brown to Georgia or Mississippi! No Execution by Medical Neglect! 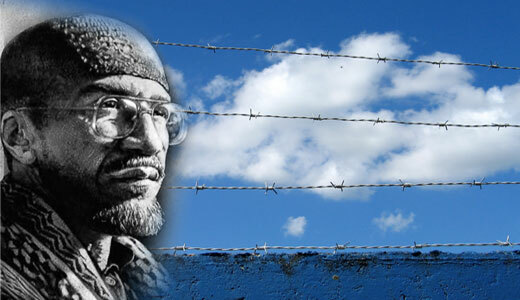 We Still Demand the Release of Imam Jamil Al-Amin (H. Rap Brown)! 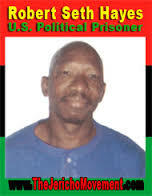 I just received a call from Ori Lumumba regarding Robert Seth Hayes (#74A2280). As many of you know, Seth has had a chronic cough since May of this year for which he did not receive any diagnosis or treatment for many months. When Seth finally saw the pulmonologist at Coxsackie on Monday, November 2, the doctor wanted to know why the medical personnel at Sullivan had waited so long to bring Seth for a pulmonary exam. The pulmonologist intends to schedule for Seth a CT scan, a CT scan of his heart, and bloodwork. The pulmonologist thought there might be some infection, but needs more info. In addition, the facility doctor (Dr. Sidorowicz) told Seth to come to the clinic to use the nebulizer whenever he feels short of breath. Seth has been using an inhaler twice a day (Seth does not get to carry his inhaler, and so needs to go to medical when he gets short of breath) and also the nebulizer twice a day for a while now, although he does not yet have a diagnosis of the cause of this chronic cough. On a prior occasion about 10 days ago, C.O. Slater, who was accompanying Seth to the clinic, stated that Seth did not really need the nebulizer. Then the nurses did not attend to Seth, and he had to overcome his difficulty breathing on his own. Today, the same thing happened again, with C.O. Slater once again claiming that Seth did not really need the nebulizer. Seth passed out shortly thereafter and a Code Blue was called on him. We need people to call Superintendent Keyser at Sullivan specifically about C.O. Slater interfering with and preventing Seth from receiving needed medical attention. This C.O. should never accompany Seth to the medical clinic again. Also ask why the nurses are not following the facility doctor’s medical advice instead of paying attention to C.O. Slater. We also need people to call and fax Dr. Koenigsmann and Nancy Lyng in Albany to demand that Seth receive all needed pulmonary tests as soon as possible and that C.O. Slater be prohibited from accompanying Seth to the clinic in the future. This is attempted medical murder of one of our beloved freedom fighters and we must do everything possible to help Seth at this time. Seth needs visitors and letters.